In many bonding applications, whether for die attach or wire bond, a successful bond can depend greatly on the method by which the parts are heated. Surface preparation and clamping are also critical, but in most applications a heater stage can be the unsung hero of the bond. In most wire bonding and wedge bonding processes for instance, the controlled application of heat is a critical component to the strength of a bond. To achieve a successful weld, a bonder must reach a critical threshold of energy input during the bonding process, which is typically done by combining ultrasonic energy from the tool and thermal energy from the stage. In eutectic die attach, there is a need to rapidly heat the part to achieve a bond, and then quickly cool the part down. There are two types of heater stages utilized in bonding and die attach: Pulsed Heat Stages and Steady-State Heater Stages. Both types of heater stages are carefully engineered and controlled for process precision, and there are some fascinating components at play in their respective designs. 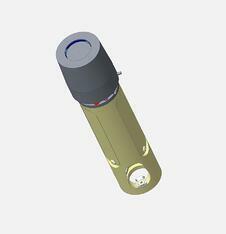 Pulsed Heat Stages specialize in eutectic die attach. In relation to a Pulsed Heat Stage, the most important part of the process relates to the need to rapidly heat the bond material to a eutectic temperature, then immediately cool the part back below the eutectic point. The aim of this post is to highlight the heater stage itself, which allows a Palomar bonder to quickly and accurately execute a eutectic bond with precise control. The main component of a Pulsed Heat Stage is the hot bar—a ceramic plate with internal heating elements and small thermal mass that can quickly ramp a component to a eutectic temperature and cover gas to provide an oxygen-free environment for the bond and to help quickly cool the resulting solder joint. A Pulsed Heat Stage would be utilized in applications where the components are sensitive to prolonged high temperatures. They can also be used in processes where parts are susceptible to warping when clamped and heated. 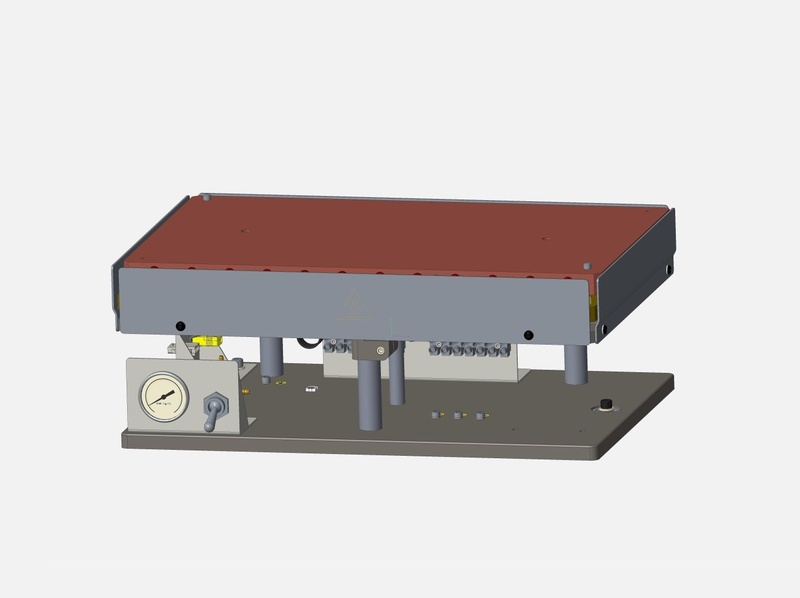 Palomar Technologies has recently designed a small footprint Pulsed Heat Stage for components that are have extreme sensitivity to flatness and clamping. This new Pulsed Heat Stage provides a quickly ramping Hot Bar that is carefully manufactured with 1 micron flatness to prevent warping of thin packages during heating, and accurately and quickly performs eutectic bonds. A disadvantage to Pulsed Heat Stages is the ability to bond a single part at a time, and there are limits to the size of components which preclude them from bonding large parts. For staging multiple parts at once—either small parts with low temperature sensitivity, or parts too large for a Pulsed Heat Stage—there is the Steady-State Heater Stage. A Steady-State Heater is a stage that is designed to maintain a specific temperature for extended periods of time. Steady-State Heaters typically heat to a much lower temperature than a Pulsed Heat Stage and are most commonly used for wire and wedge bonding. Where Pulsed Heat Stages have a very specific focus, the advantage of the Steady-State Heater is its versatility. These stages can be populated with tooling plates to accommodate virtually any part; they can be used for both wire bonding and die attach applications. They can also function as standalone stages, or be integrated into pneumatic lifter assemblies for automated conveyors. There can be disadvantages to Steady-State applications as large numbers of parts can potentially lead to oxidation if the bonding processes are lengthy and the last parts bonded remain at temperature for long periods of time. These drawbacks can be mitigated through the addition of cover gas or the reduction of parts. If there is a process that does not fit the criteria of a Pulsed Heat Stage or a standard Steady-State Heater (perhaps a Steady-State Heater is needed that can achieve eutectic temperatures for long periods of time without component failure), Palomar Technologies can provide a solution. Through careful design of stage components, tooling plates, and cover gas options, there are very few unique applications that Palomar cannot accommodate. As with many of the unique and challenging processes in die and wire bonding, a significant amount of engineering is invested in the design of a solution that will generate a rapid and accurate manufacturing application; heaters are no exception to this. The next time you have a chance to observe a die attach or wire bonding process, take a moment to appreciate the heater stage under it all.